We all want the best for our children. We make sacrifices for their education and hope they have a chance at achieving their dreams. 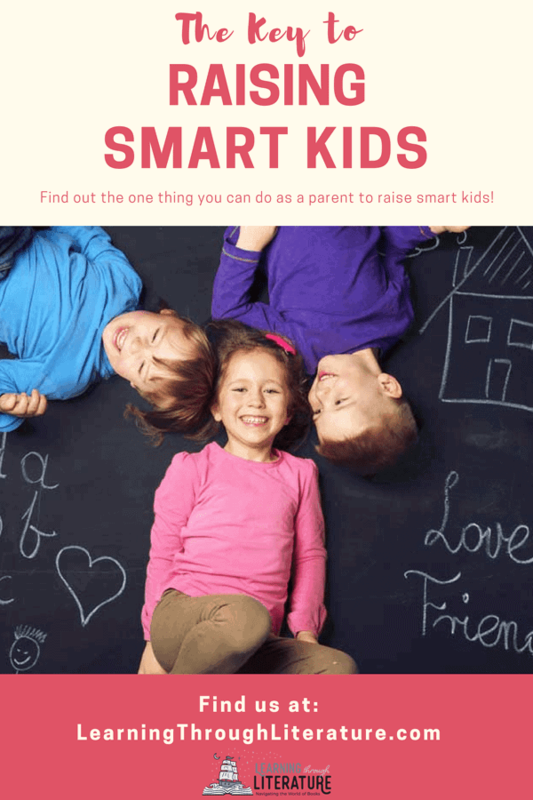 Did you know there is one thing you can do that is guaranteed to help your kids thrive in learning and in life? You don’t need to send your toddler to math camp in order for them to succeed. All you need to do is plop down with a book and read to them for 10-15 minutes every day. Once you begin sharing books with your children, your family will be blessed in ways you can never imagine. Below are a few positive benefits of reading aloud. Creates Shared Memories: Reading aloud together as a family leads to shared memories. When a small child climbs into a parent’s lap to listen to a book, an immediate bonding happens between them. Once your children are reading on their own, however, don’t stop reading aloud. Continue to share great stories together and grow as a family. Family favorites will be like pegs in their childhood memories. Encourages Curiosity and Creativity: Reading aloud to children motivates their curiosity, which inspires creativity. They naturally become more curious about the world around them. They ask questions and look for answers. They can solve problems more imaginatively by looking for creative solutions. Being a creative thinker is a valuable asset for future adults. As a parent, the simple act of reading great books aloud puts your child firmly on the path of being a creative problem solver. 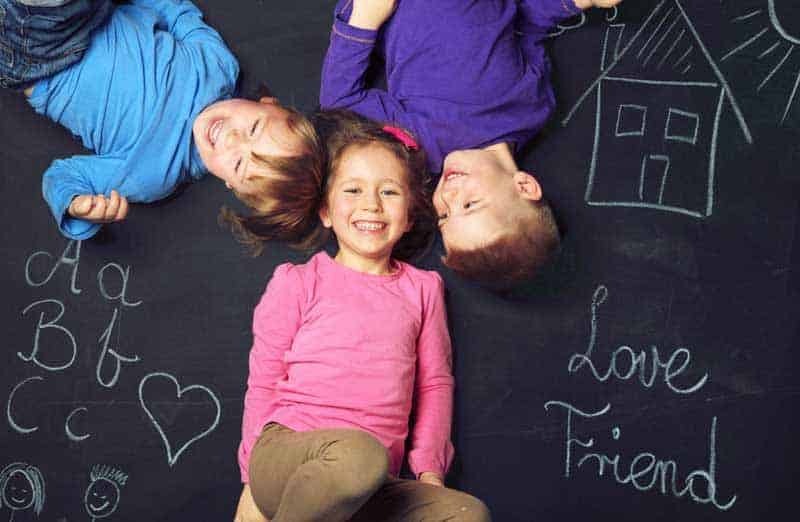 When kids practice being other people in other times and places, they explore and shape the people they will become.” -Jeni B.
Thankfully, these amazing benefits are attainable for everyone no matter the economic status. Family vacations can create family bonding and shared memories, but they aren’t nearly as cost effective as getting a book from the library and reading it to your children. We like to call this a Library Card Education. It’s available to everyone. All you need is a library card and the desire to read aloud to your children. The rest will fall into place. And don’t forget, we’ve created the Book Finder so you’ll always have a list of great books available any time you’re searching the shelves for options. It turns out that just a few minutes a day of reading aloud to children can have an enormous affect on their academic future, too. 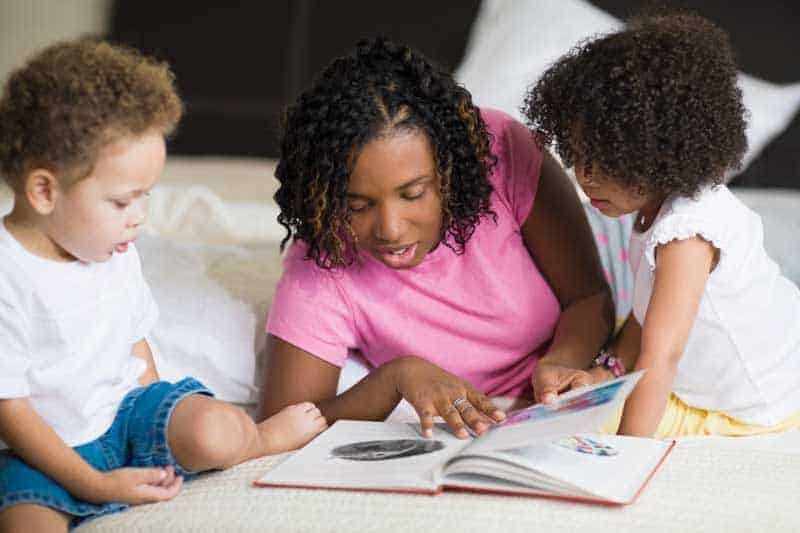 Language Development: Most educators agree that the single most important thing you can do to develop and improve your child’s language skills is to read aloud to them. Alongside numerous other benefits, reading aloud builds word-sound awareness, which is an indicator of reading success. Even before a child is able to speak, you are developing their vocabulary when you read aloud to them. Knowledge of Rare or Unusual Words: Exposure to a larger vocabulary is not often found in age-appropriate shows and videos. Most content available to pre-school children doesn’t elevate the language but typically keeps it “age appropriate.” On the other hand, reading aloud to a child exposes them to rare and unusual words used within context. When a child hears an unfamiliar word several times in the context of a story, they develop a better understanding of it than if you read a definition. Active Listeners: Reading aloud to children from an early age helps them become active listeners. They have longer attention spans and a greater ability to concentrate on a task for a longer period of time. 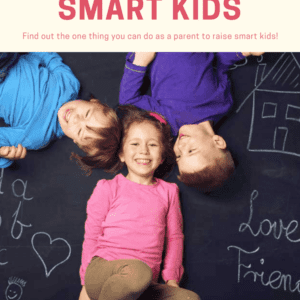 In today’s fast-paced society, a longer attention span will continue to be a valuable asset for children and future adults. 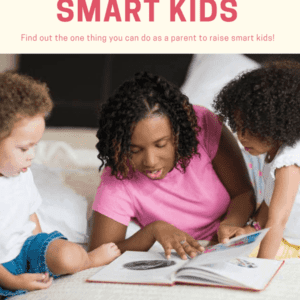 Plus, you'll receive our PDF Guide: 50 Great Books for Kids That Every Home Should Have. As we often say, there’s power in great storytelling. Really. All we have to do is harness it. Reading aloud while children are young sets them up for all kinds of success. Continuing to read aloud as children get older adds even more learning value and strengthens relationship. That’s an easily accessible power that you want to harness for your children. Where do you start? There are so many wonderful books, but here are a few recommendations for various age ranges to get you started. You may also want to read our post Do Age Recommendations Matter for Children’s Books? It will help you know how to best choose books for your children. These sweet books will charm your little ones! Don’t be hesitant to read to newborns as well. They’re listening and learning, too. Click this link to find more books for children ages 0-3. One thing young children love are beautiful illustrations, lift-a-flap books, and rhyming books. Here are a few to get you started. Click this link to find more books for children ages 3-5. At this age, early chapter books read aloud can be the most fun. Read Winnie-the-Pooh aloud and you’ll understand. Click here to find more books for children ages 5-8. Check out this post to find out why we also included fairy tales. Here’s your chance to read books that open up all sorts of topics for deeper discussions. Click here to find more books for children ages 8-12. 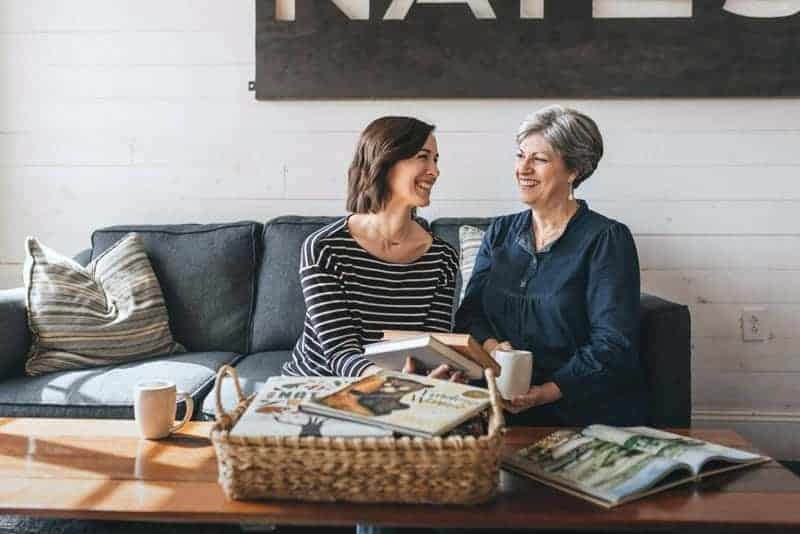 Want to have meaningful conversations with your teens? There’s still opportunity to share books aloud with your children at this age. Remember, it’s about creating shared memories and discussing ideas at this stage. Click here to find more books for children ages 12 & up. Reading aloud to your kids has measurable benefits that you will be able to notice. However, the real value is in the intrinsic benefits that are much more deeply rooted. As for the benefits that can’t be measured or tested, they might take some time to rise to the surface…but they will be there. We promise. Yes! Reading to children makes such a difference. Thank you for sharing this information. Love the site! Yes, we couldn’t agree more.